Home > Headlines > News > What Type of Oil Is Right for My Land Rover? It is no secret that oil is essential to the function and long life of your vehicle, but sometimes the details of its duties and different types can be neglected or misunderstood. Oil serves multiple purposes in your Land Rover’s engine. Ensuring that with regular changes and the correct types of oil you will avoid damage on a small or grand level. Through this we hope to familiarize you with the job oil fulfills overall, as well as what types of oil will provide certain key properties to specific vehicles. No job is too small when it comes to maintaining almost 70 years of professional performance engineering. Smooth Ride: Oil is most commonly associated with being the core lubricant between surfaces in the engine, protecting it against wear, and in extreme cases certain parts just completely locking up, rendering the Land Rover useless. Antacid: Combustion based engines, as many of Land Rovers are, produce a large amount of acid during the combustion process. Fresh and correct oil in your Land Rover will ensure less of these corrosive materials. Temperature Control: Not only does oil distribute heat properly throughout the engine of your Land Rover not reached by coolant, but it also cleans out contaminates that are produced by the high heat found in the busy, performance-driven engine. Visit your Land Rover Metro West professional service team for regular oil changes. Which Oil is the correct one for your Land Rover? With multiple types of oil out on the market it can get a little overwhelming and picking the wrong one can cause a less comfortable and lower-performing drive. These labels are assigned with two grades indicating what it’s capable of in certain temperatures. Basically saying that perhaps the oil in your Discovery Sport during the winter shouldn’t be the same as the oil you find in it during the summer. These classes are defined by two grades on a label. 0W-40 for example. The “0” coming before the “W” in the first grade indicates the fluidity of the oil in lower temperatures, the lower the better. The “40” grade reflects the viscosity of the oil at high temperatures, higher the number the thicker the oil is. So the lower the number is ideal for areas with colder temperatures as opposed to higher numbers made for areas with much higher temperatures. The SAE grade is critiquing three different types of oil class available for your Land Rover. The different types of oil each have their own details that reflect what type of car they should be used in, some are less performance oriented than others. Mineral oil is the lowest common denominator, but most commonly used type of oil in engines. They are the cheaper and easier route through mass distillation and refinement of crude oil. Some mineral oils containing equal or less than 30% synthetic oil are considered semi-synthetic, or synthetic blends. This brings you some of the top-tier performance aspects of synthetic without breaking the bank. 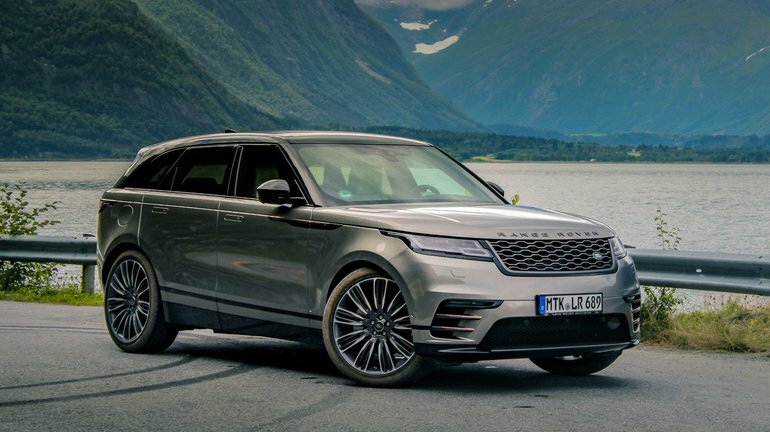 A higher quality option is synthetic oil, a man-made oil with controlled molecular structures and predictable properties, ensuring a top level performance drive from your Land Rover’s engine. In the past we have seen the oil industry dominated by single-grade oil’s, but have since taken a back seat to multi-grade. The difference being that single grade had a single viscosity (thus the name) which proved to not be as versatile in a wider range of temperatures. Multi-grade has a superior range of temperature, ensuring a safe start and uncompromised performance from your Land Rover, hot or cold. We hope our explanation oil grades, types, and our recommendations will help you care for your Porsche for years to come. If you have any additional questions or would like to request your oil change at Land Rover Metro West simply fill out our service form or call our service department at 888-870-7831.